In the words of Kipling over one hundred years ago, Burma/Myanmar is “quite unlike any land you know”. In no region does the mystery and awe ring truer than in the country’s far north-western reaches. 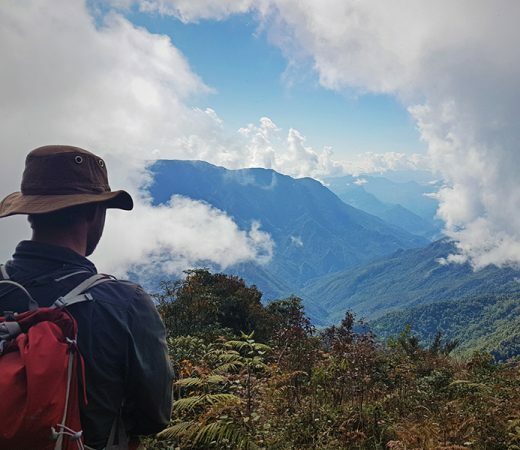 This self-supported jungle trekking expedition will forge a route through the remote bamboo forests, raging river valleys and welcoming villages of the proud Naga people to reach the summit of Mount Saramati. 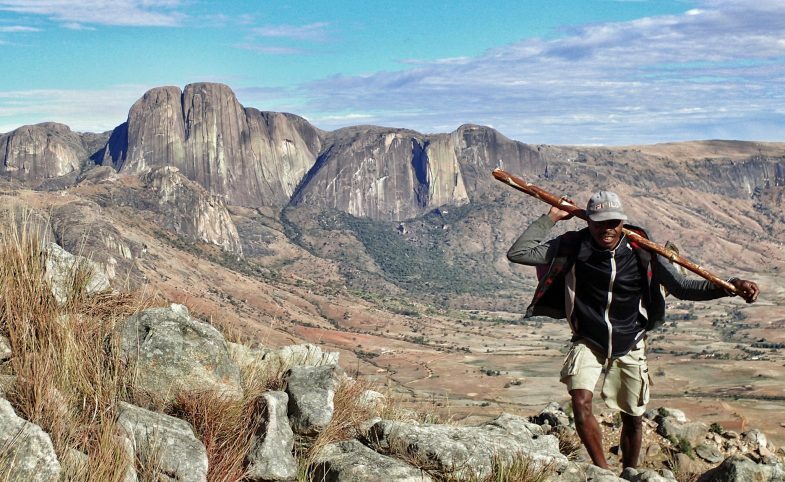 The aim of this epic, self-supported expedition is to climb Mount Saramati (3,826m) and be rewarded with views over Burma/Myanmar and India from its summit. Located in the country’s north west on the Indian border, in the geographically and culturally isolated region of Nagaland, Saramati is the most prominent peak on mainland SE Asia. 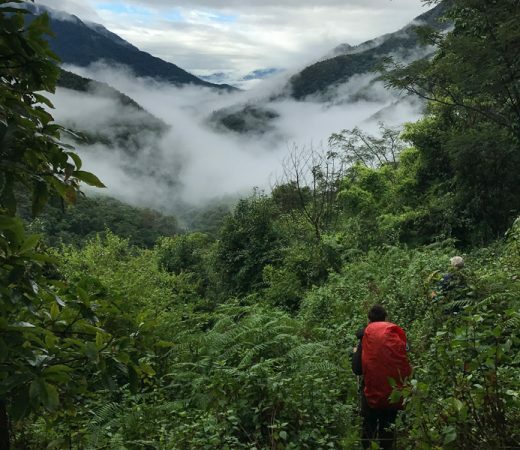 With no established route to the summit from the Burma/Myanmar side, completing this challenging, multi-day expedition on a tough route through rice paddies, river valleys, dense jungle and exposed mountain slopes will mean that this team has achieved the extraordinary, punctuated by stays in welcoming Naga villages. Climb Mount Saramati, on the border with India. Be one of the few to climb from the western side. 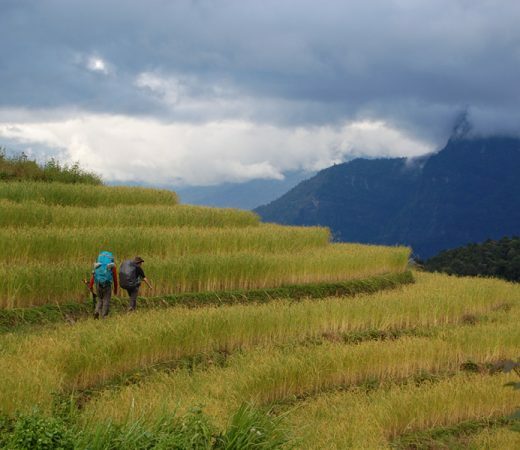 Experience really varied landscape from dense jungle, rice paddies to bamboo forest. 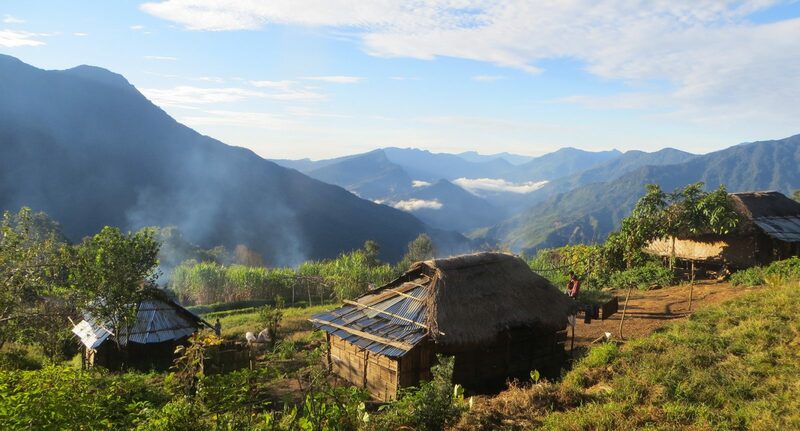 Experience traditional Naga culture as you camp in their villages. Visit a remote, hardly visited part of Burma/Myanmar. Take an unforgettable river boat journey down the Chindwin River. Experience a land bursting with life that Indians once considered a ‘secret garden’. Immerse yourself a country consistently ranked as one of the friendliest in the world. 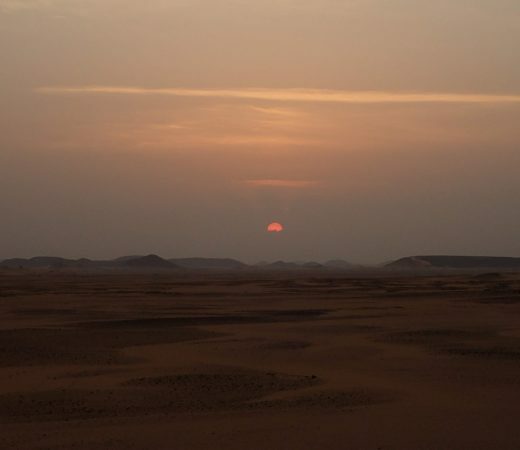 “Secret Compass are different to most adventure tourism operators because they have the courage to venture into far flung corners of the Earth that are rarely visited by commercial expeditions. They choose challenging destinations in exotic countries that are not on the regular tourist routes. The expeditions are competently and safely led. Burma 2018 was a highly successful expedition with a small team and great support from the local in country operator. The transport logistics worked flawlessly, except for the occasional motorbike slipping over in the mud! It was a privilege to experience traditional and unspoiled Naga culture, and to venture deep into forested mountains on the Burmese-India border.” – Ashley Burke, 2018 teammate. Aung San Suu Kyi’s landslide victory in the 2015 elections (for the National League for Democracy) has seen a rapid spread of visitors beyond already popular areas. There has also been an influx of modern-day conveniences. 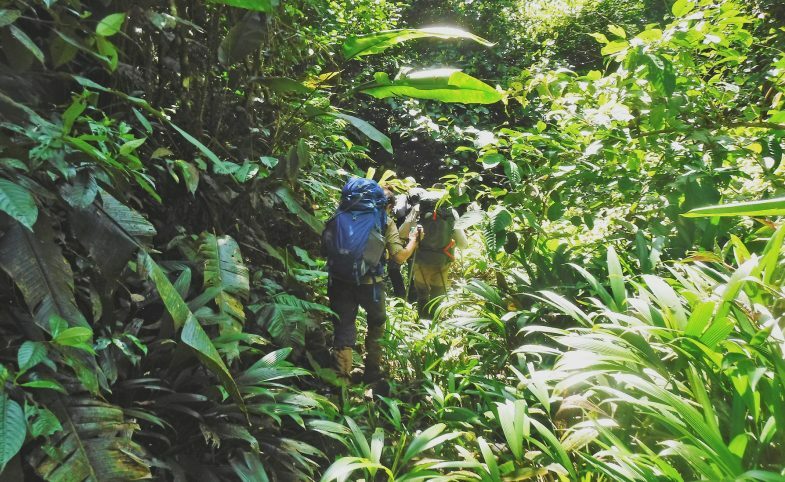 Courtesy of Nagaland’s non-existent tourism infrastructure, this epic Secret Compass adventure is truly remote and will help this far-flung region’s fledgling tourism economy, with monies spent by the team supporting the local guides and small businesses who are still catching up with the rest of the country. Our in-country partners are eager to embrace the modern while retaining their culture and heritage. Shy yet welcoming, the proud Naga inhabit the Naga Hills that form a barrier between India and Burma/Myanmar. Completely isolated from the outside world until the British colonisation of India in the 19th century, the Naga comprise several tribes each with its own colourful culture, language and stories. Burma/Myanmar being a predominantly Buddhist country, many Naga remain Christians following British rule and each village has a bible and hymns in its own language. While traditional culture and practices remain, the younger generation are also adopting the same western trends that are sweeping the rest of the nation, such as jeans and pop music. The Naga villagers took an active part in the 2015 elections by receiving visiting politicians, setting up voting stations and eagerly awaiting the results via radio from the next village along. Saramati is located in Sagaing, also known by its Indian state name of Nagaland. This area is landlocked and largely inaccessible to foreigners and Secret Compass will acquire special permits for teammates. 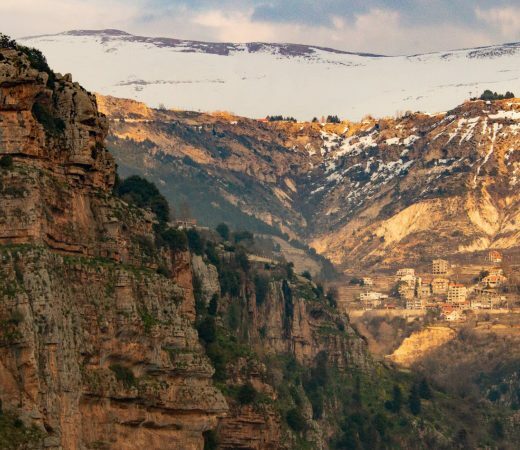 A place of incredible beauty that was once considered a secret garden, the region has long been geographically and culturally isolated from the rest of the country and the world. With its changing landscape of rice paddies and river valleys, dense forests and exposed slopes, Nagaland is a trove for adventurous travellers. With villages placed high up on opposing slopes, often riotous sunsets provide chances to look back and to reflect upon the day’s progress, beneath skies happily unspoilt by light pollution. Burmese food has an undeserved reputation as a poor, greasy, Chinese imitation. On the expedition however you’ll enjoy freshly cooked, home-grown meals sourced and prepared in each village upon your arrival. Expect lots of rice and noodles, but also the typical South-east Asian dedication flavour with sweet pumpkin curries topped with salty peanuts, rich meat stews and crunchy green vegetables laced with chilli and garlic. In larger towns many meals are served like tapas, with everyone getting a small bowl of rice which they top up from a vast spread communal meat and vegetable dishes. Side dishes include fresh river fish, spicy soups and omelettes. For pudding, try the country’s famous pickled tea leaves or chunks of palm sugar jaggery. Secret Compass runs expeditions with framework itineraries, rather than guided tours with set daily plans. Read more about Our Approach here. The following is the outline plan for this epic Burma/ Myanmar expedition – the ‘substance’ rather than the specifics. A fuller itinerary is provided in the Expedition Handbook which is available on request or upon application to join the team. Touch down in bustling Yangon where you’ll meet your Expedition Leader for a team briefing over lunch before an internal flight to Mandalay that afternoon. The next morning the expedition will really begin, with another internal flight to the sleepy town of Homalin on the banks of the Chindwin where you’ll take a local boat six hours upstream to Thamanthi. Pass the time getting to know your teammates and watching daily life on the river. You’ll then be met by jeeps and depending on the road conditions also motorbike taxis for the last leg of the journey and the start point of your trek, the Naga village of Khet Kaw. Make your way from village to village as the team progresses over a series of valley systems, breaking each day at the river for a wash and a swim. Villages are placed on opposing hills and you’ll start the day with your destination in sight across the valley. The terrain will range from bamboo forest to farmland, dense jungle to orchid clad slopes swathed in cloud. The paths will be equally varied – anything from wide, established tracks to barely existent trails intersected with roots, rocks and streams. From the last village onward you’ll be cutting a path through the forest until it gives way to the exposed slopes of Saramati. The adventure doesn’t stop at the summit. Having soaked up the amazing views over Burma/ Myanmar and India, the team will make their way back to the villages where, if in good time, you can take part in village activities such as rice harvesting, church services and tribal dances. Having achieved your goal will also give you a chance to reflect on your achievement and the beauty of Nagaland before returning to the modern world with tales of your adventure. Secret Compass expeditions are achievable by anyone with a healthy lifestyle and a good level of general fitness. Team members should be willing to be part of a team working together to achieve the goal of the expedition. 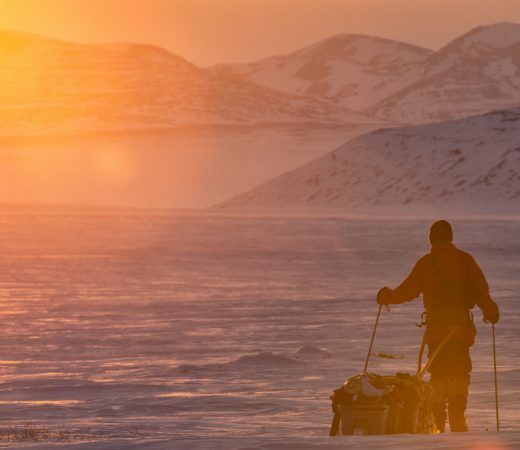 The biggest challenge on this expedition will be the unrelenting ridge lines and peaks and the hot climate. 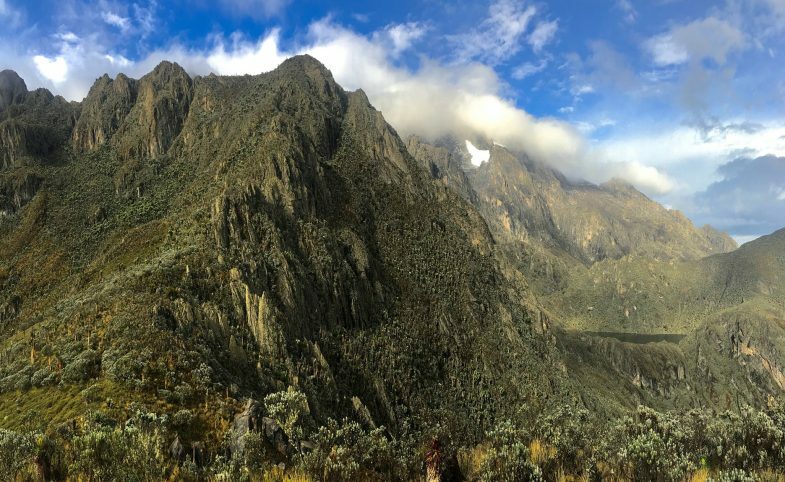 This is a one of our most physically demanding and challenging expeditions that we offer and we will get porters to take personal equipment to increase the chances to reach the summit. Teammates who arrive without meeting the agreed minimum fitness requirements can jeopardise themselves and the expedition’s goal so do take training seriously, prepare as appropriate and arrive fit and ready to go. Teammates must be comfortable with the following. 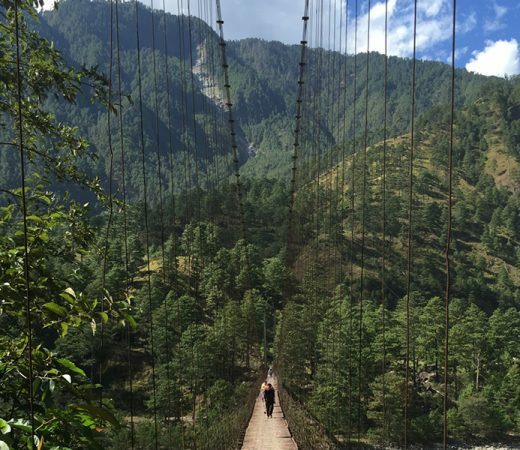 Trek: up to 25km for 10 days with a total ascent of 7000m+. Daily activity: averaging eight to 10 hours trekking per day. Carry: up to 10kg per person. 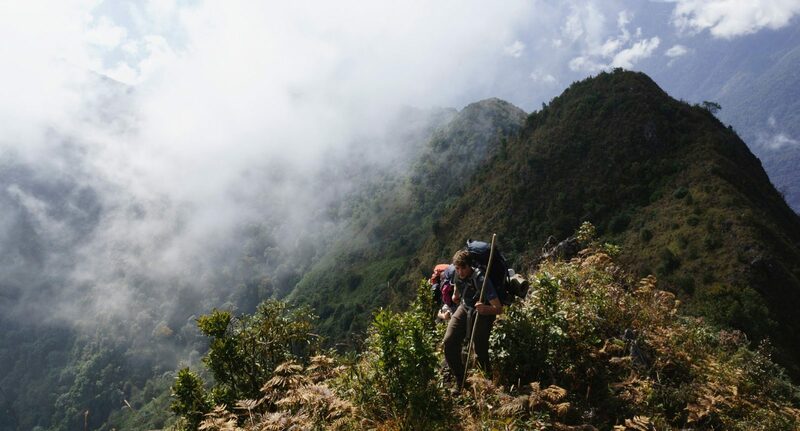 Terrain: Challenging, steep climbs; muddy and rocky paths; bamboo ladders; rope bridges; some scrambling. Altitudes up to 3826m. Climate: from 30°C down to -10°C at night/ height. On application to join this epic expedition to Burma/Myanmar, potential teammates will receive a detailed Expedition Handbook. Here are some expedition-specific questions and our general FAQ will answer many other questions. Get in touch if your question remains unanswered. What does ‘most prominent’ mean? Peak prominence refers to the height of a mountain’s or hill’s summit in terms of the vertical distance between it and the lowest contour line encircling it, but containing no higher summit within it. It is a measure of the independence of a summit. Many high mountains lack prominence because they are connected to other cols or peaks (i.e. because there are many mountains of a similar height all around). With a height of 3826m and a prominence of 2885m, Saramati is the most prominent peak on mainland Southeast Asia. It’s not the highest, but it’s the most prominent. Officially the country is called the ‘Republic of the Union of Myanmar’ although the national anthem still refers to bama pyi or ‘the country of Burma’. ‘Myanmar’ is intended to be inclusive of the population, (only 68% of whom are Bamar) and the term is recognised by the UN but not by the United States or the UK. A statement from the UK’s Foreign Office says: ‘Burma’s democracy movement prefers the form ‘Burma’ because they do not accept the legitimacy of the unelected military regime to change the official name of the country. Internationally, both names are recognised.’ The EU has been known to use both names on different occasions, or both together, i.e. Burma/ Myanmar. Citizens use Myanmar and Burma interchangeably, often the former when writing or in formal situations and the latter when speaking and in the home. Neither will cause offence when talking to local people. How hot/ cold will it be? 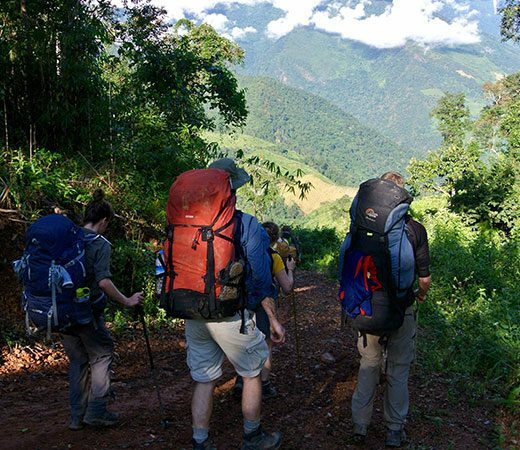 In Yangon, Homalin and on the lower slopes during the trek, daytime temperatures can reach 30°C, dropping at night to a more comfortable 5-15°C. As you approach the summit temperatures drop, reaching as low as -10°C at night. What could I bring as gifts for local people? The schools in which you’ll be staying during the village section of the trek have very limited equipment and any gifts will be greatly appreciated. Salt is also highly valued in the villages and would make a welcome thank-you for their hospitality. We recommend buying any gifts for the villagers once in-country so as to support the local economy. It will also be cheaper and you can buy school books in local languages. Books, pens and toys can all be bought in the market in Homalin and your local guide will be able to help you with the shopping. Is it a malarial zone? Please consult your medical professional for advice on malaria preventatives and vaccinations. This will be very challenging with limited access to power once the trekking section begins. Please ensure that you are self-sufficient in terms of charging your appliances by bringing things like spare batteries, lightweight solar panels or power packs to avoid frustration. Your mobile roaming will work in Yangon and perhaps Homalin. You are very unlikely to get signal during the trekking portion. Teammates with dietary requirements are welcome to apply for this expedition and should state their specific requirements when applying. The food situation is outlined in the Practicalities tab and teammates will need to be realistic about preferences given the remote region and the locally sourced nature of the food. Apply for this expedition team using the button below to receive your Expedition Handbook with fuller details. Secret Compass is then on hand to answer any questions or to firm up your place on the team. The Handbook contains a kit list for this expedition.